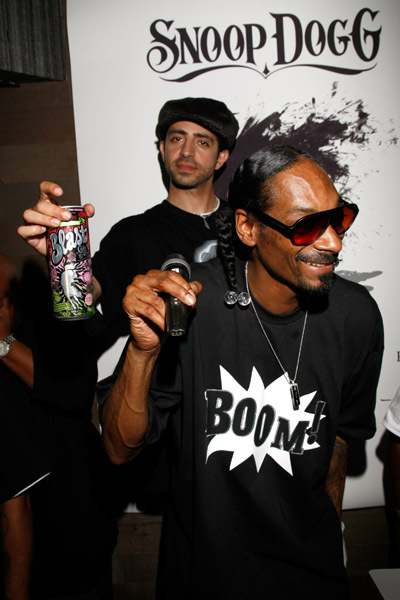 *Snoop Dogg’s new heavily criticized endorsement for Colt 45’s Blast has been blamed for marketing to minors and even mocking the appeal of Four Loko, an alcoholic energy drink that has been banned in several states. But the malt liquor company spoke up for their new spokesperson. Metropoulos also insisted their new strategy isn’t meant to appeal to underage drinkers. “It’s not like our distributors are putting it in the soda section, and these are clearly designated as an alcoholic product. We’re not going to be showing up and selling this at schools or anything like that,” Metropoulos added. Colt 45 has not been well received recently, noting Talib Kweli’s decision to shut the sponsorship down for his Kansas show last week. He didn’t want to be associated with the beverage. Snoop is just a tool perpetrated by the man to keep our young kids down!! It would help by explaining that. This leaked video of their marketing plan contradicts all of their statements in that article. Watch, the next flavor they come out with will be “Red Kool-Aid”…..